If you rather like tabular representations, existing dependencies of elements can be examined in the Dependencies view which is again available via the context menu, but only for a single selection. 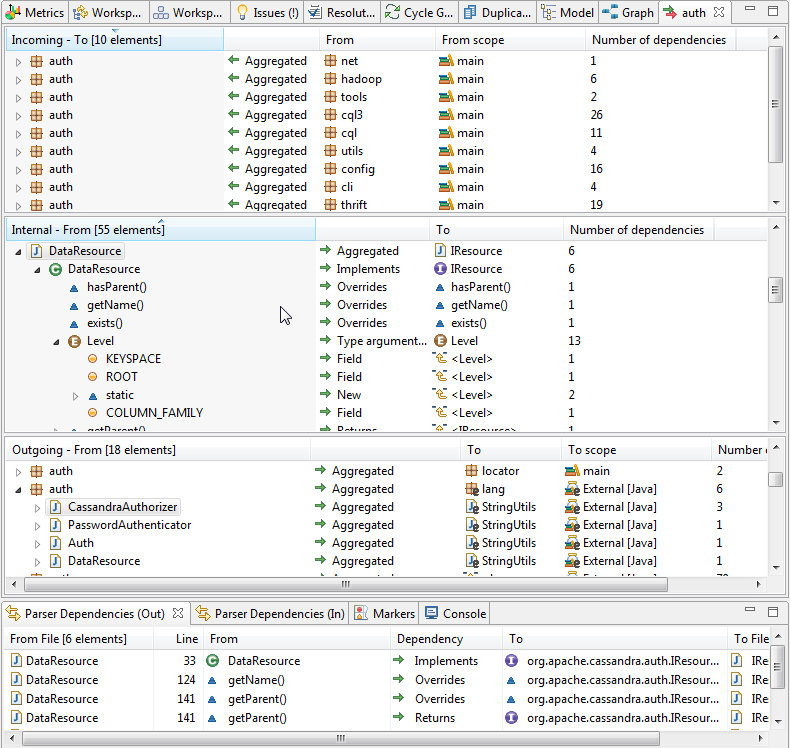 The Dependencies view is separated into three parts, each allowing to drill down and analyze a specific dependency in more detail. More features of this view are explained in Section 7.10.4, “ Tabular System Exploration ”.